The average American home contains multiple sources of toxic flame-retardant chemicals. They’re widely used in carpets and textiles, foam insulation, polyurethane foam furnishings, electronics and plastics and motor vehicles. These outgas into your home regularly. The chemical industry maintains that these chemicals are necessary to keep flames from engulfing your home as quickly, allowing you valuable time to escape. The other opinion is that they have questionable effectiveness, while exposing you and your children to indisputably toxic substances. Polybrominated diphenyl ethers (PBDE) bear a resemblance to the molecular structure of PCBs, which have been linked to cancer, reproductive problems and diminished fetal brain development. Like PCBs, they persist in the environment and accumulate in your body. 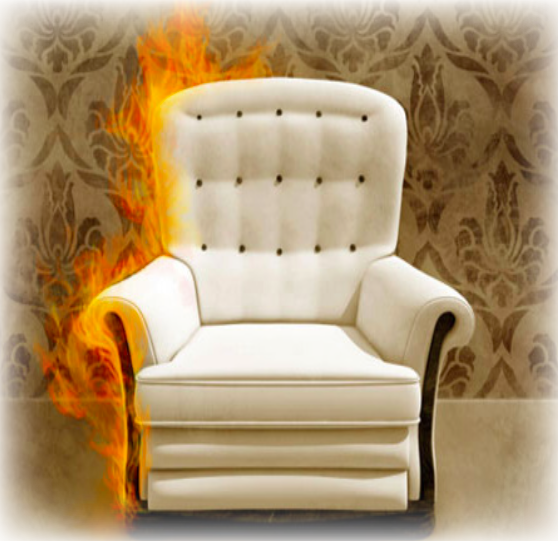 Globally, flame-retardant chemicals gross more than $4 billion a year. The industry has a potential loss financially so they are fighting a ban despite the growing proof of health risks. Brominated vegetable oil (BVO) was first patented by chemical companies as a flame retardant. The chemical is currently forbidden in food throughout Europe and Japan, but BVO has been added to about 10 percent of sodas in North America for decades. It’s added as an emulsifier, to prevent the flavoring from separating and floating to the surface. Since these toxins are not chemically bound to the plastics, foam, fabrics and other materials to which they’re added, they easily seep out into your home where they accumulate in household dust. They are also contaminating air, soil and waterways during their manufacture, use and degradation in landfills. · Be particularly cautious with polyurethane foam products factory-made prior to 2005, such as upholstered furniture, mattresses and pillows, as these are most likely to contain PBDEs. · Older carpet padding is another major source of PBDEs. Take safety measures when removing old carpet. You’ll want to use a HEPA filter vacuum to clean up. · You probably also have older sources of the PBDEs known as Deca which can be found in electronics like TVs, cell phones, kitchen appliances, fans, toner car- tridges and more. It’s a good idea to wash your hands after handling such items. · As you substitute PBDE-containing items around your home, handpick those that contain naturally less flammable materials, such as leather, wool and cotton. · PBDEs are often found in household dust, so clean up with a HEPA-filter vacu- um and/or a wet mop often.